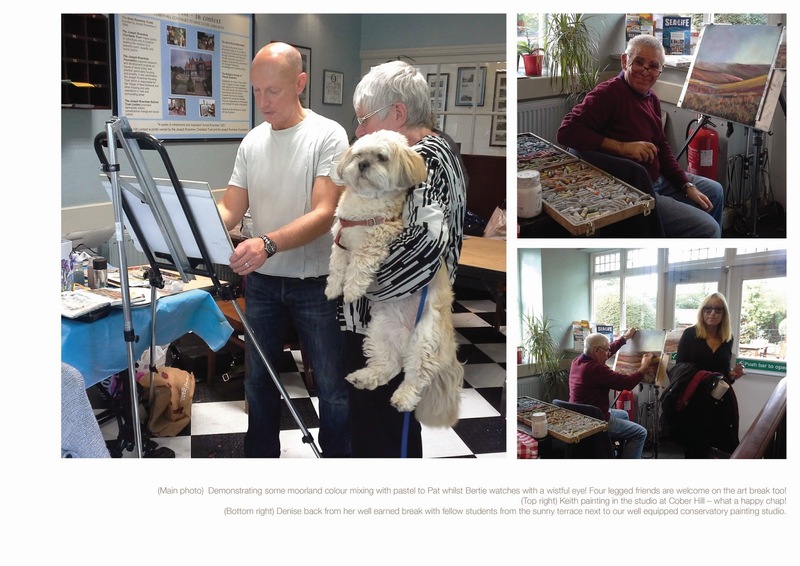 Having recently returned from a fun packed inspirational painting break at Cober Hill (Sunday 5 October - Wednesday 7 October) near Scarborough, the painting break I ran has filled us all with lots on new painting ideas with students eager to return ASAP! 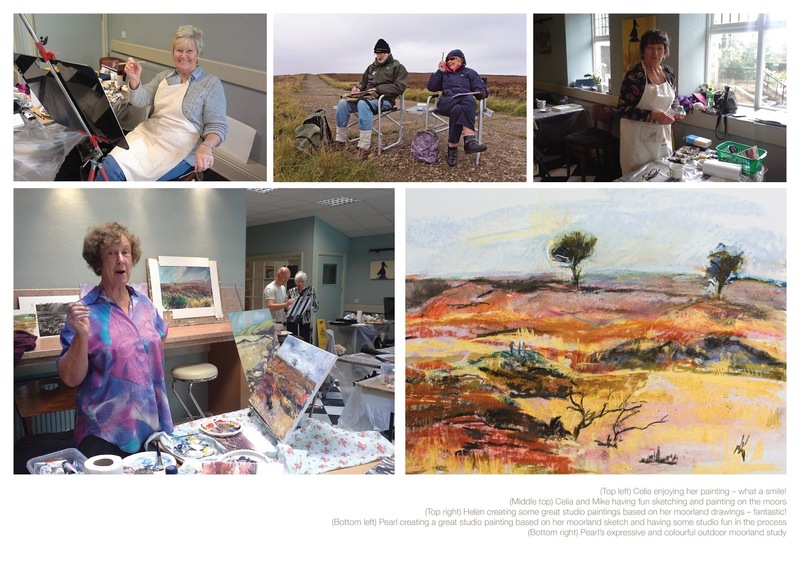 With full day studio painting, evening demonstrations and outdoor painting directly on the moors, it was a delight to see how everyone enjoyed it so much and with superb painting results. Exploring different painting media on different papers and surfaces it was really great to help guide and encourage all enthusiastic students just exactly what was possible when combining different media together - even outdoors! Knowing the landscape close to Cober Hill had so much to offer with lots of different inspirational views, on the way to Fylingdales moor for our sketching and painting field trip on Wednesday we passed through some superb woodland on the way visiting the highest point of the moors close to Cober Hill to take in this superb view overlooking the valley in the early morning November sun - superb! 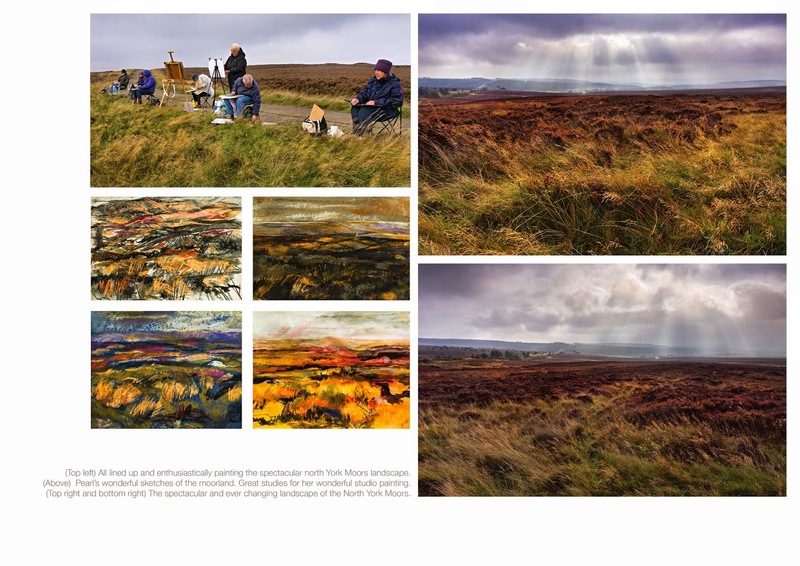 Realistically we were lucky to have a window of opportunity to paint on the moors in such changeable weather and experience the dramatic landscape at first hand at Fylingdales Moor for a few hours sketching. 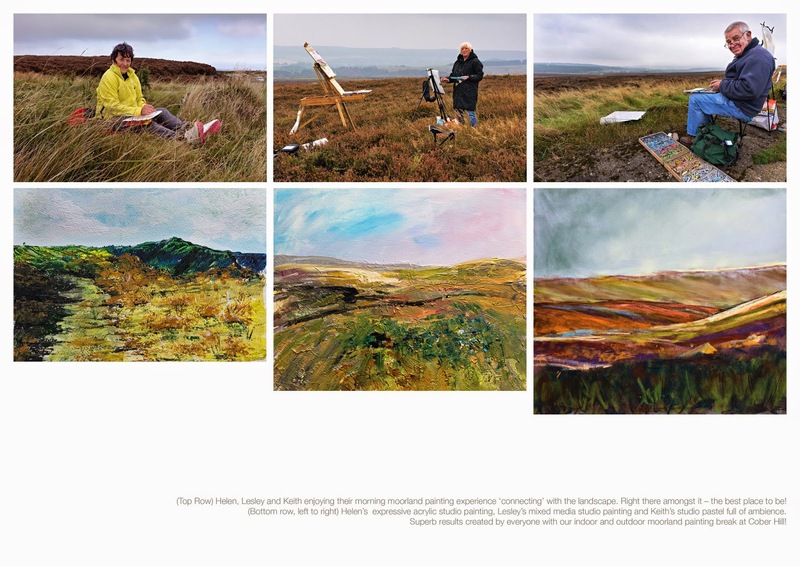 This was all we needed and perfect for all to soak up the atmosphere and experience the dramatic light and paint the beautiful colours and textures of the moorland heather in particular. The rising mists through the distant trees over the moor was quite spectacular. 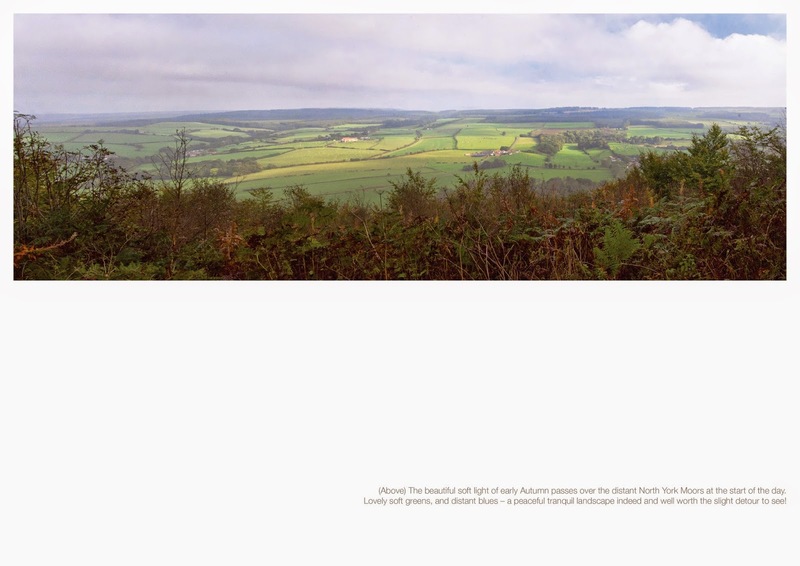 Fylingdales Moor is very unique. Lone trees are scattered through the wide moorland expanse landscape almost acting as sentinels for this remarkable landscape. 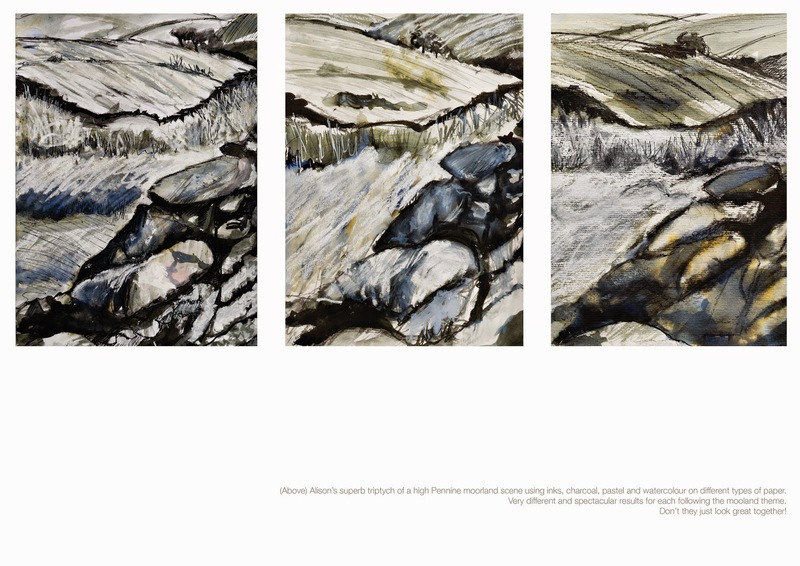 They made the perfect focus as well for our moorland landscapes later created with acrylic on canvas in the studio adding gesso and pumice to express the textures of the moors still further! 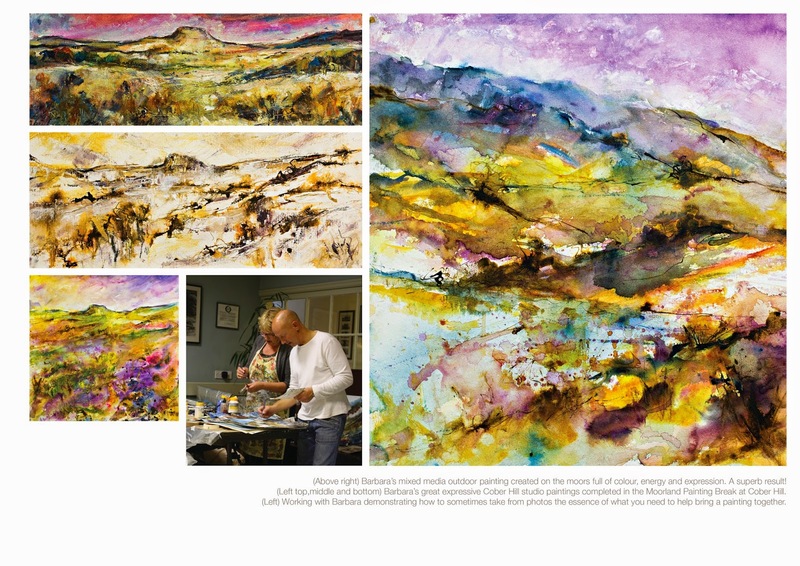 It was really great to teach a class full of really enthusiastic students lots of different creative techniques, share may different experiences, exchange ideas and above all have a really great time together painting some wonderful moorland paintings. Finally a big thanks to all the staff at Cober hill who really made this art break for us all that bit extra special. I’m looking forward to teaching again at Cober Hill and with bookings being taken NOW for the next art courses this is indeed great news. Thanks again everyone. It was just great! 1. Sunday 22 March - Friday 27 March ‘15. Contemporary seascapes with pastel and watercolour. Get your skates on. Bookings are now being taken!